A Ham radio or an amateur radio can a test wireless communication or be used for socializing and for emergency communication. 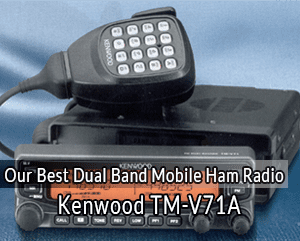 Dual band mobile ham radios are very different from other ham radios. Unlike others, these enable you to monitor two frequencies simultaneously. Plus, they allow you to communicate with the driver of the car in front or near you in case of an emergency, too. 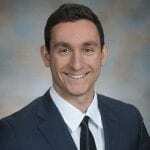 They are connected to the user’s cars, and the best thing about them is that they are compatible with all types of vehicles. Today, there are so many models and choosing the best might not be easy. Hence, when buying, it is good to consider the features, ease of use, durability, frequency range and price of the product. Here are the best dual band mobile ham radios you can find today. 7 How Does A Dual Band Radio Work? Kenwood TM-V71A provides a high performance on 2 meters and 440 MHZ. It comes with three power levels: 5, 10 and 50 watts on both bands. Moreover, it features an extensive list of radio display which shows the status of every function. You can set the screen to amber or green. The general specification of this transceiver is RX frequency 118-524 MHZ band A. Band B contains 136-524 MHZ band and also 430-450 MHZ and TX frequency 144-148 MHZ. Additionally, it has an antenna impedance of 50 ohms and DC power requirement of 13.8 V. Alongside that, this device has a compact device and weighs 3.3 lbs. Meanwhile, you can also change the appearance of the front panel. Irrespective of how you install this device, the front panel can be flipped in any position. In addition to that, it boasts 1000 memory channels as well, and each of them can store up to 6 alphanumeric characters. Unlike others, this transceiver can scan the weather through the weather alert feature, too. Likewise, it comes with 10 dedicated Echolink memory channels and Echolink operation modes. This model has a very unique design which enables it to provide the best performance in terms of receiving and transmitting signals. If you are searching for a top-rated mobile ham radio, Yaesu FT- 7900R might be what you are searching for. It has a power output of 40 watts on 430 MHZ and 50 watts on 144 MHZ. Alongside that, it also features three power levels which allow you to choose your preferred level. Moreover, it uses different frequencies which ranges from 700-999 MHZ and 108-520 MHZ. This means that the device can be used in various areas such as AM aircraft, government organizations and business companies with ham radio communication. Plus, it also contains five front panel keys to allow one-touch recall. Notably, it is easy to select the operating bands automatically using the synthesizer steps as well. Apart from that, it has the ability of cross band repeater, unlike others, too. Likewise, its LCD backlight provides excellent visibility. Furthermore, it allows more than 1000 memory channels; each can store up to six alpha numeric characters. It also features 20 memory groups, and each channel can be stored in multiple groups. Additionally, it contains a special memory bank which enables you to recall any of the ten NOAA weather frequencies. Plus, it has a severe weather alert which features an alarm of emergency broadcast. 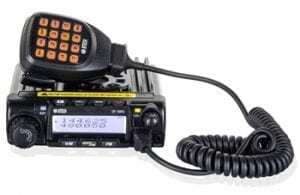 This one is a top quality transceiver which provides clear and excellent radio communication unlike others. It has an ergonomic design and is very easy to use. Moreover, this product contains two frequency bands: UH4-400-480 MHZ and VHF-136-174 MHZ. Notably, it is very reliable even in harsh climates as well. Additionally, the device provides a multifunction activity to the operator, and it is also affordable. It has a robust design of UHF 20w and VHF 25w and contains a scrambler feature for conversation privacy, too. Besides that, it boasts FM radio functions and PTT (push to talk). It also has 200-memory channel programming. Furthermore, it has three selective power levels which help reduce misuse of power. Consequently, the best thing about this device is that it has a compact design and it lasts longer than other transceivers. It also comes with an unlimited warranty, unlike others. Meanwhile, if you are not sure about how it works, you can check the easy to understand user manual. Plus, the whole package contains one keypad microphone, user manual, one radio, DC power cable, one hardware, and a mounting bracket set. Other features include scan modes, DTMF dual tone multi-frequency, and the keypad locks. BTECH Mini UV-25X2 has a unique display mode which has double synchronization. The microphone also contains audio gain settings. Additionally, this device offers an extended range of frequencies of 520 MHZ. Moreover, it also features an automatic power off feature, variable frequency scanning, automatic scanning, privacy mode randomization, and the memory channel-editing feature. Similarly, it has high and low output power settings of 25 w and 10 w. It also features a commercial radio frequency of VHF 136-174, 65-108 MHZ, and UHF 400-520 MHZ. The full set of this device features 6 feet DC cable, microphone speaker, hardware, and mounting brackets. Plus, you can adjust the microphone to reduce road and background noise, too. Similarly, apart from the microphone gain, the DTMF can also be adjusted to access the IRLP network. Likewise, you should use the PCO4 FTDI cable when you are programming the device in a computer. This unit also comes with one quad receiver and it can be used as multiple radios with 430 MHZ or 144 MHZ. You can also configure it for simultaneous UHF and VHF operation. You can choose both narrow and wideband, too. This one is a dual band VHF/UHF transceiver which contains three output power settings: 5W/15W/25W; you can select any according to your requirements. The three power outputs also ensure that there is no power loss when you are using the device. Additionally, it comes with LCD color display which you can rotate at 180 degrees TFT. It provides a frequency range of UHF- 400-480 MZ, VHF 136-174 MHZ. However, if you are not sure about how it works, you can download the programming software and the user manual from the AnyTone website. Unlike others, it has DCS and CTCSS decoding and encoding features. Meanwhile, another outstanding thing about this device is that it allows you to make a group call, a selective call, or a single call. Other features in this device are the self-defining function pressing keys P1-P6, TX/RX main channel display, CTCSS/DCS which displays when the main channel is set, and main channel displays which show the strength of the field channel and also the strength of the signals. How Does A Dual Band Radio Work? Dual band radio allows communications on the Very High Frequency (VHF) and Ultra High Frequency (UHF) bands in the electromagnetic spectrum. The VHF is also known as the 2-meter band, and it varies from 144 MHZ to 148 MHZ. Meanwhile, the UHF is also referred to as the 70-centimeter band and varies from 420-450 MHZ. 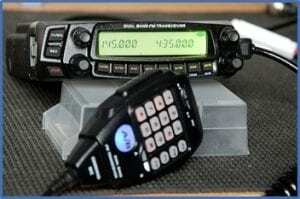 A dual band radio is an important part of amateur radio operations. These radios provide long-range communications among individuals such as scientists, amateur radio enthusiasts, engineers, and emergency communicators. Dual band ham radios enable you to transmit on one band and receive on the other band. It is also able to receive and transmit on the same band. Besides that, the device is also able to receive and transmit on two different frequencies within the same band. You should note that transceivers come with various frequency ranges. When selecting, it is advisable to consider a device with a high-frequency range. It provides more flexibility and allows the device to perform different functions more conveniently. You must be very sure of the equipment you are purchasing to ensure it is made of high-quality materials. A good transceiver should be sturdy and long lasting. It should also have a compact design. Dual band mobile ham radios come with different characteristics. Some of the features you should check include: the ability of the device to receive and transmit signals, keypad locking feature, multifunction scanning feature, memory channels, levels of power outputs, digital frequency modulations, and availability of dual mode reception. Irrespective of whether you have used a dual band mobile ham radio before or not, you must ensure that the device you select is easy to use. A device with a personal computer control may be the best. This is because you can still communicate with the transceiver even if there is no internet. Consequently, if you’re looking for the best radio ham for beginners, prioritize this feature. Whether you are a professional driver or not, it is good to go for the best device irrespective of its cost. Most high-quality products are costly, but they have advanced features which make them better than cheap products. There you have it! If you have been searching for the best dual band mobile ham radio, you can pick any from our list. All the products are top rated, and their features are also amazing. Those who are searching for a quality product irrespective of price can consider Yaesu FT-7900R or Kenwood TM-V71A. These products have a higher frequency range as compared to others. They are also long lasting, and they have a large LCD. However, they are a bit expensive than others. 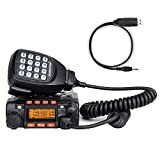 However, if you are on a budget, you can consider AnyTone AT-778UV Mobile Ham Radio. This device is affordable and comes with advanced features such as three power outputs and DSC/CTSS feature. You can also set the LCD at 180 degrees to give you a clear view, and make different types of calls. 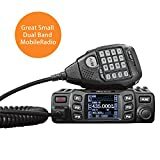 Irrespective of your choice, we hope that our reviews will help you get a good dual band mobile ham radio for your car. Also, check out our guides for Sounding Clock Radio out there!